For the sixth straight Octagon show, every fight on a UFC card will be made available for live viewing. “UFC 132: Cruz vs. Faber II” takes place this Saturday inside the MGM Grand Garden Arena in Las Vegas, Nevada. Facebook will kick off the festivities by streaming four preliminary bouts starting at 5:55PM ET/2:55PM PT. 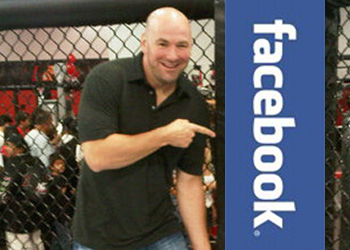 Fanboys simply have to “Like” the UFC’s Facebook page in order to watch the scraps live. Spike TV will then air two prelims starting at 8PM ET/5PM PT. The pay-per-view broadcast begins immediately after the freebie fights at 9PM ET/6PM PT. A bantamweight title affair between champion Dominick Cruz and Urijah Faber will headline the show.